Vomitstep / Riddim is taking the world by storm and you undoubtedly heard the vile and nasty sounds in many top dj's their set. Pioneered by Getter, Snails, Skrillex to name a few, this style is not for the faint hearted! Production Master called on "Never Modern Talk" who took the internet by storm with his music to create the filthiest set of samples imaginable. 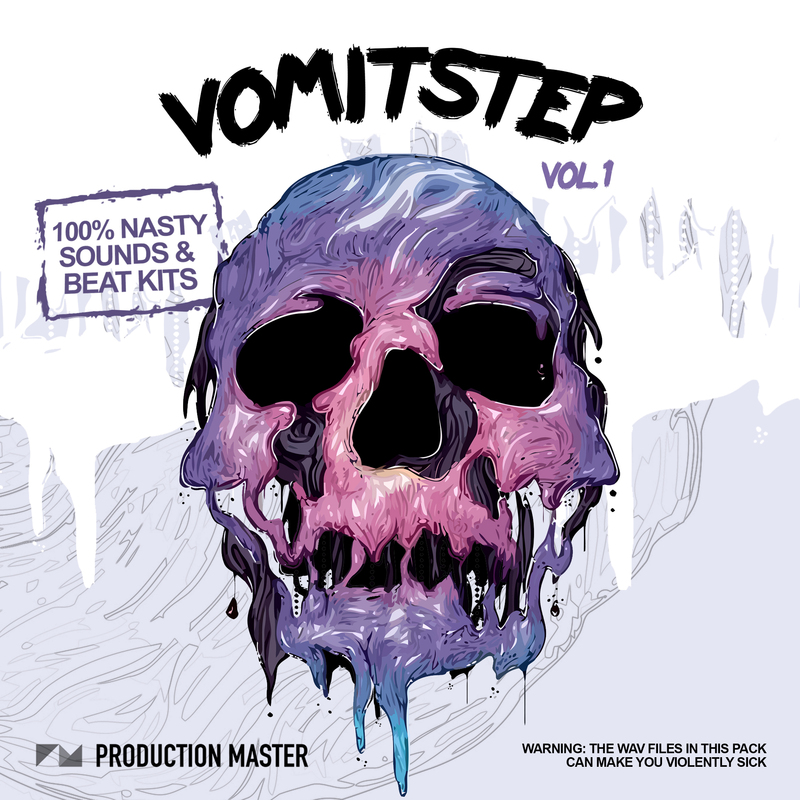 The result is "Vomitstep Volume 1", the dirtiest and nastiest sample pack you have ever heard by far! Get grimey with sick basses, violent drumkits and loops, dope oneshots, killer kicks and snares and many other dirty surprises. Drag and drop these expertly crafted sounds into your DAW / Sampler of choice and get ready for violent seizures. This pack will blow your mind! Producers who demand seriously heavyweight sounds that have been inspired by the latest productions from artist such as Skrillex, Snails, Laxx, Getter, Borgore, Virtual Riot, Barely Alive and labels such as Owsla, Firepower and Disciple, will certainly find in this pack what their twisted mind desires.